Why be limited to in-house stuff ? Last edited by Joggle on Wed Dec 09, 2015 1:29 pm, edited 3 times in total. +1 please fix this steinberg! I hope steinberg do not think "like it or leave it". At the moment a nice idea of a real good feature only. Your video joggle is a god way to show how it will be feature for a fast workflow. +1 of Course, everybody would want this ! HOW DO YOU IMPORT PRESETS into Mediabay ??? Last edited by mjtutoriels on Mon Dec 07, 2015 5:52 pm, edited 1 time in total. Yes, I need this too! Would be a great live saver. I totally agree. Why didn't they do this in the first place +1. Last edited by marcus82 on Mon Dec 07, 2015 12:31 am, edited 1 time in total. It's like did they really think we wouldn't want to be able to add our own? Silly they released this without the option to do this. In the end, it's really just eye candy, but a lot of us like eye candy. Thanks for making the video!!! marcus82 wrote: I totally agree. Why didn't they do this in the first place +1. I've been wondering this since they released 8.5.. it's pretty stupid tbh they didn't do this in the first place. just wanted to had in FR to anable drag the VTSI icon without going to presets to add instrument track. but your ideas are excelent,looks much intuative and faster workflow.. +10!!! we NEED this Steinberg!! +1 I really like this and I am all for more customization in MediaBay. I had some other thoughts that I would like to see added to MediaBay. Are there any of these things that others would like to see also? 1) Create media containers for user favorites so when I select a container I only see the samples/loops/fx presets and instrument presets I have in that container (media could be in more than one container). These containers would be displayed on thumbnails like the current Instrument and Loops & Sample thumbnails are in 8.5. 2) Save various MediaBay layouts as presets to make it easy to switch between configurations. 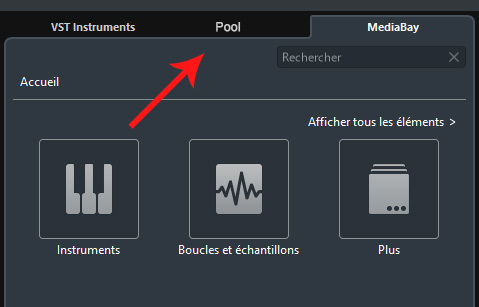 For example, I would like to save different layouts for filters based on what I am searching for whether it be samples or instrument presets. 3) Allow users to hide any categories as part of the layout preset (for example, I may not want to see any ethnic sound categories in a Electronic layout preset but I may want to include them in a Hip Hop layout. This should extend to all the other filters that I choose such as Plug-in, Sub Category, Style and so on. This would allow users to get to the sounds/presets that they want to see much more quickly. 4) Add a basic folder explorer in the mini MediaBay for those who would prefer it to the standard mini MediaBay functionality. Of course, users could customize their own layouts as much or as little as they would like. The main point is to allow users more flexibility to set things up the way they would like instead of trying to force a one size fits all layout. what a wonderful pic, isn´t it ??? Thank you a lot for this, Joggle!